Yea congrats!~ I am expecting twin girls too~ I hardly see twin girls as being common..I cam upon your comment looking through all the comments for someone with twin girls!~ Best wishes to you .. we have a little girl already..So we have girls girls girls.. OH are they fraternal or identical? That is wonderful! I too am finally having my girls! 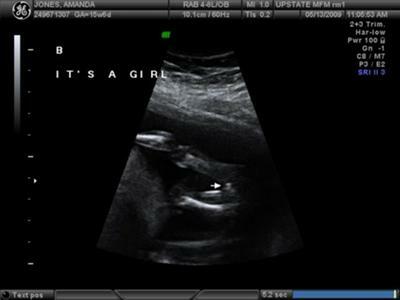 We have three boys already and I am so excited to be having two girls! Bring on the pink! :) Congrats!! Congratulations! I guess you have all boys currently? I bet you are excited. Girls are fun!